iOSnoops is constantly on the lookout for new apps, and here is a selection of 17 new iPhone/iPad apps. 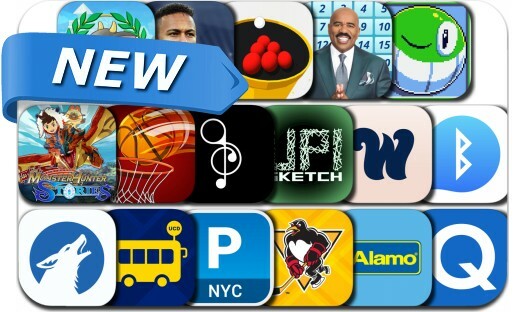 Today’s batch of new apps includes Monster Hunter Stories, Circle Pool, Harvey's Hundreds, Dribble!, Match MVP Neymar JR, The Wing, FreePark NYC, UnitransNow, Basketball Flick Finger Legend and many others. Circle Pool is a brand new type of pool. Lots of balls, no holes, hit everything and make chain explosions to clear every level. 100+ Levels of pure addictive arcade fun! PLAY AGAINST FRIENDS IN FUN MULTIPLAYER FOOTBALL MATCHES!